A basketball-inspired windbreaker with a retro look. 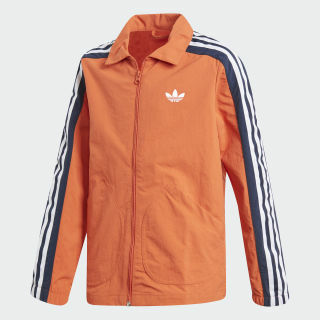 Retro B-ball style inspires this jacket. A coaches' uniform design gives this juniors' coat a vintage vibe. 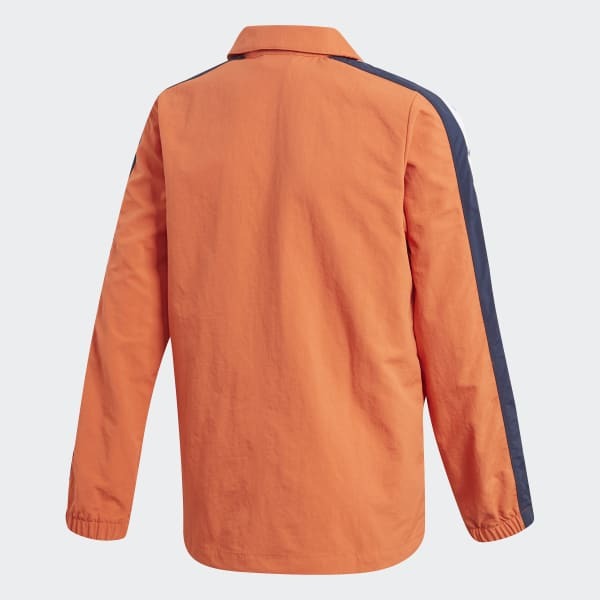 It comes with a fold-over collar and wide 3-Stripes on the sleeves. It's made of a lightweight plain weave for a smooth feel.